I have just finished this beautiful 6-string Clement Kim bass #438 and it is available for immediate delivery. 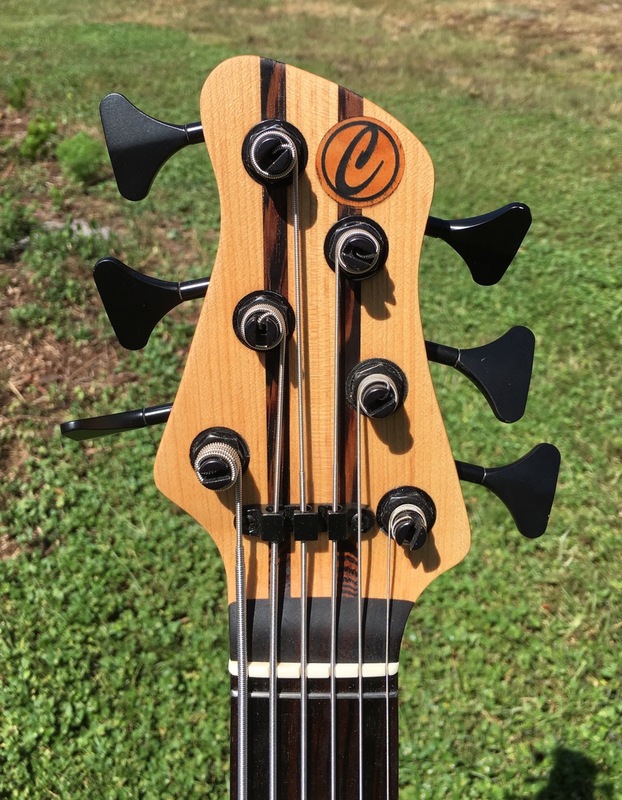 The bass weighs in at 9.8lbs, and features a three piece body with swamp ash center block and limba wings, with a gorgeous figured myrtlewood top. 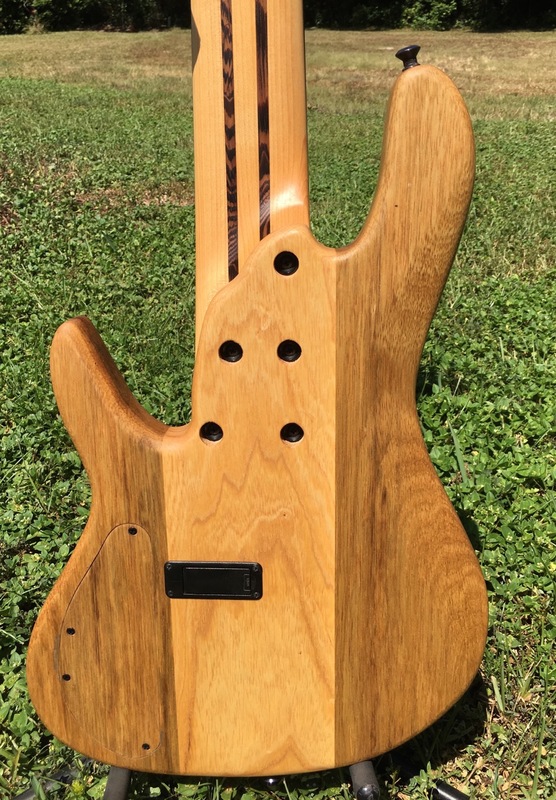 The neck is a 5-piece, with maple as the main wood and thick wenge stringers for stability. 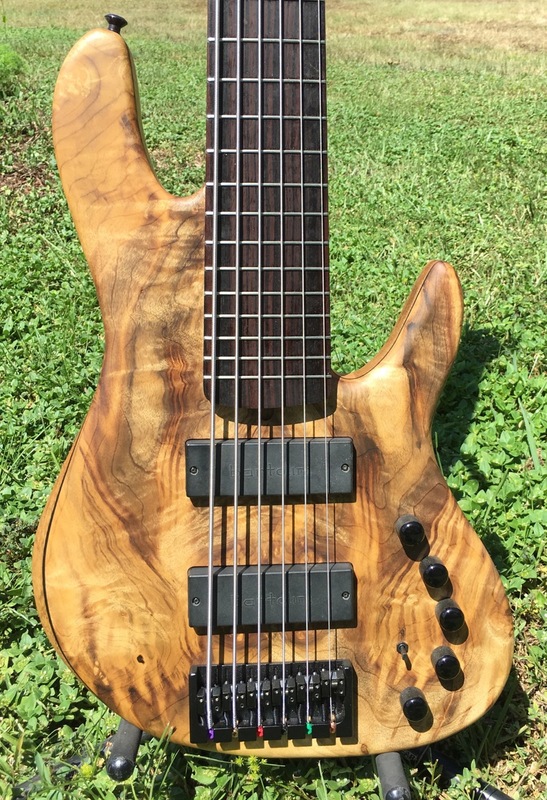 The fingerboard is macassar ebonyThe electronics are Bartiolini pickups and preamp. 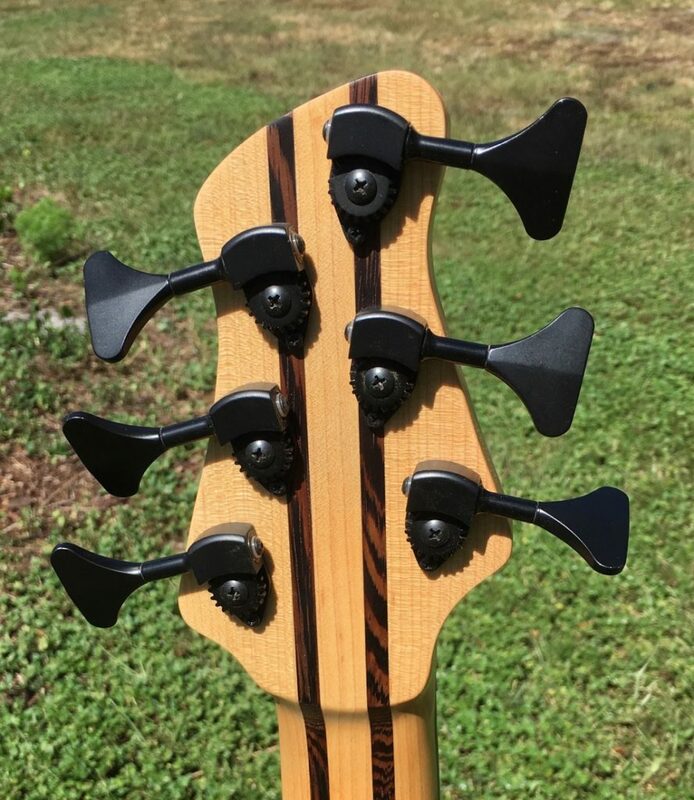 Hipshot bridge and tuners. For sale for $2400. The electronics and tuners are slightly used and the price is adjusted accordingly). Posted in For Sale, In stock.